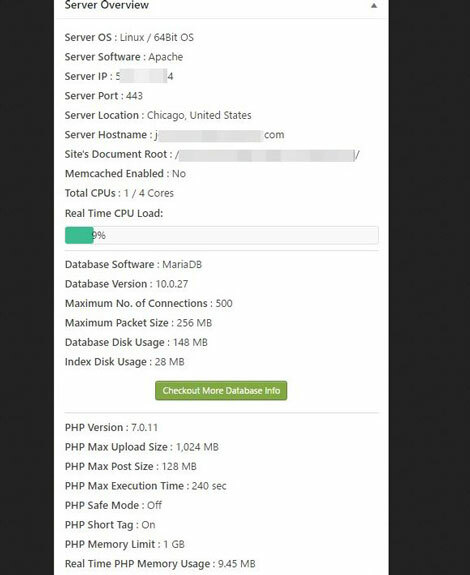 This plugin shows server OS, IP address, port, host-name, total RAM, real-time RAM usage, database version number, disk usage, PHP max upload size limit, allowed PHP memory per site, and other important information. You can get this information other ways but this plugin simply saves you time. WP Server Stats shows real-time PHP memory, RAM usage, and CPU info in different colors depending on load. It uses Transient caching to not put extra load on your server. 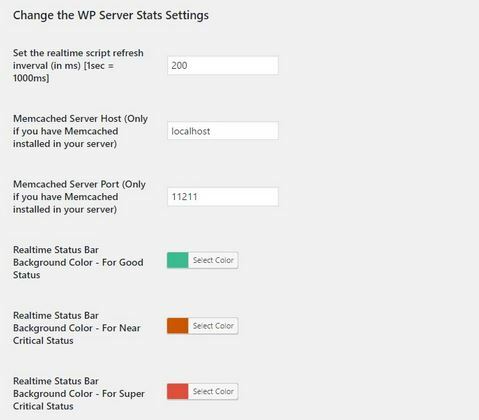 You can try WP Server Stats for free.